Like other MNU members, Dartmouth College is involved in a wide range of activities relating to global citizenship; examples of some of these activities are provided below (though this is not an exhaustive list). Dartmouth’s Center for Health Equity brings together the medical school’s educational, clinical, research, and outreach initiatives focused on medically underserved populations. The Center’s activities are focused on creating a world in which all people have equitable access to high quality care and to the conditions that promote health. To achieve that vision, the Center engages students and faculty in interdisciplinary education, research, advocacy, and clinical opportunities, made possible by strong relationships with domestic and international partners. Global learning is a core element of the Dartmouth experience, with students and scholars actively engaged in international study, research, and collaboration. DCAL funded several 2016-17 experiential learning opportunities designed to intentionally build students’ global awareness and international understanding through global and cross-cultural experiences. 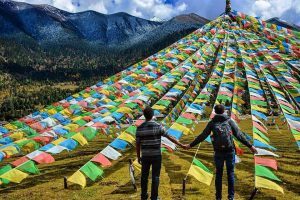 These involve programs in Tibet, Poland, South Africa, New Zealand, and Kosovo, among others. The Dartmouth Center for Service offers students opportunities to enrich their education through volunteering, internships, immersive experiences and exposure to social entrepreneurship. The Center works with community organizations close to the Dartmouth campus and organizations outside the United States. The Dickey Center is the campus hub for global engagement for students and faculty. Organized into subject area pillars, the Dickey Center houses the Global Health Initiative, Arctic Studies Institute, Human Development Initiative, and the War and Peace Studies Program. The Dickey Center also leads Dartmouth’s participation in the White House’s Mandela Washington Fellowship, an intensive training program for some of the most promising young African entrepreneurs. In addition, the Dickey Center offers a variety of international experiential learning and research internships for students. Lastly, the Dickey Center hosts a number of student organisations which aim to raise awareness of and to participate in advocacy on global issues; these include the Dartmouth Coalition for Global Health and the Dartmouth Council on Climate Change. The Global Village is one of several new Living Learning Communities at Dartmouth. It is a residential community where students from around the world and from all class years can live together and explore global topics. The Global Village is open to all students regardless of background experiences with global perspectives. Living and learning together, residents of the Global Village aim to expand their worldview, hone their intercultural skills, and build relationships within a multicultural, multinational, and multidisciplinary community. The Great Issues Scholars programme is designed to complement a student’s academic experience during his or her first year on campus. Scholars participate in a year-long series of highly interactive events aimed at enhancing their understanding of the world and current international events. The program is a unique opportunity to connect with faculty, visiting experts, and fellow students around complex global issues. Each term the program examines a specific theme – such as global health, climate change, gender in politics, international development, and regional security challenges – through expert presentations, simulations, small group discussions, and special lectures and tours. The Global Health Certificate provides students with a framework to demonstrate their knowledge and skills acquired to address complex global health challenges in a changing global environment. Open to undergraduate students from all disciplinary backgrounds, the Certificate combines coursework from across the curriculum with a field experience in global health. Students completing the certificate demonstrate an understanding of concepts, methods, and emerging issues in global health through a final capstone project. The International Studies Minor, offered through the Dickey Center for International Understanding, is designed to engage Dartmouth students, regardless of major, in understanding the cross-cutting global forces that shape the vital issues of our day. It provides rigorous training in relevant bodies of knowledge and values, and makes students cognizant of the interplay between local and global processes, human and environmental interactions, and places, identities, and cultures of a rapidly changing world. OnSite is a second-year MBA elective course, which offers professional quality consulting services to a host of worldwide clients and an extraordinary experiential learning opportunity for students. Consulting projects are carried out by teams of students and provide a cost-effective solution for corporations, non-profits, and governments that lack the time, budget, or human resources to address specific strategic initiatives. Through the Nelson A Rockefeller Center for Public Policy, Dartmouth students from all majors can pursue a Public Policy Minor, in which they learn and experience how policy affects every aspect of society, from urban development, international relations and technological change to health care, education and the law. One of the courses offered with the minor, Global Policy Leadership, is designed to provide real world international policy experience for a select group of students. This group studies a policy topic in a part of the world undergoing transition or disruption and then travels there to meet with local policy leaders and other experts “on the ground” who can help to inform their topic of study. This program, held in June 2017 at Dartmouth, brought together a cohort of young leaders from the United States and Canada – including youth from northern Alaska and the Canadian High North – to develop professional skills, awareness, and knowledge of the emerging and powerful role of science diplomacy in Arctic Council collaborations, communications, and decision-making. 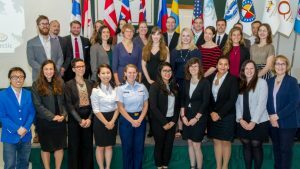 The highly interactive, 5-day program included an Arctic Science Diplomacy & Leadership Workshop, followed by a two-day Model Arctic Council simulation focused on issues of Arctic climate, health, and sustainability. Speakers included leading experts in Arctic science, policy, and diplomacy from the United States and Canada. The Tuck First Year Project is a required course for first year MBA students. 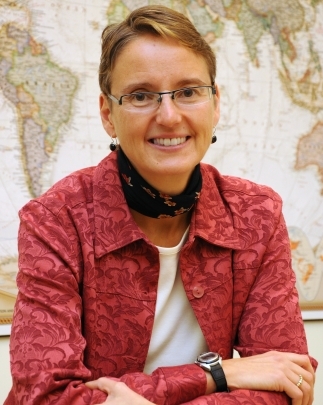 Teams of students work with a faculty supervisor to apply learning from their entire first year to complex, real-world issues of strategic importance for a variety of clients – multinational corporations, SMEs, nonprofit/nongovernmental entities, and early-stage startups from a wide range of industries. The DarDar Programs partnership was established in 2001 as a research collaboration between Geisel School of Medicine at Dartmouth and the Muhimbili University of Health and Allied Sciences (MUHAS) in Dar es Salaam, Tanzania. Research efforts have focused on clinical trials to improve TB/HIV care and prevention, including a trial of the DAR901 vaccine, the only TB vaccine to date that has beens shown to be effective in humans. The DarDar Programs collaboration has subsequently grown to include training programs (Dartmouth-Boston University Fogarty) and clinical care programs (DarDar Pediatric Program). DarDar mimics the Kiswahili word for sister, “dada”, and connotes the strong bond between the two institutions. The Institute of Arctic Studies focuses on the environmental, cultural, and political dimensions of the North and the critical impact of climate change. The Institute is highly interdisciplinary, involving undergraduate and graduate students, visiting fellows, Fulbright Scholars, and numerous others. 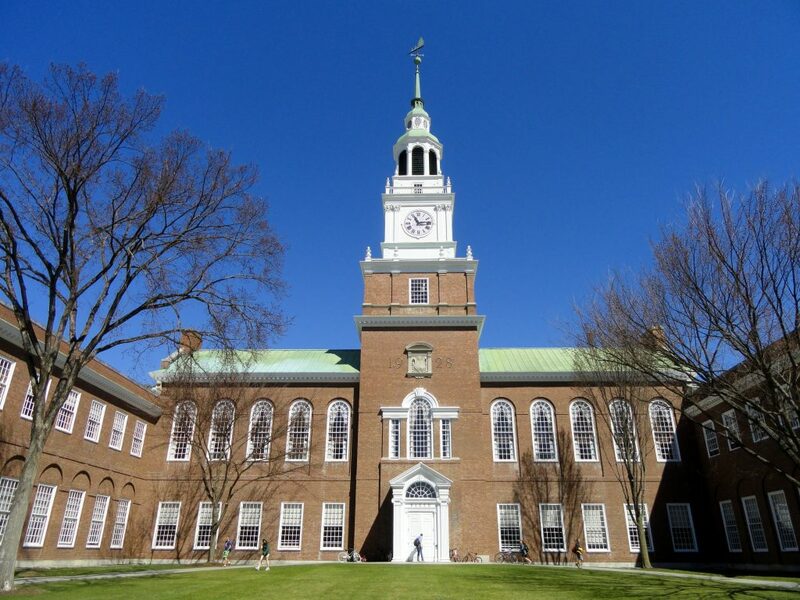 Dartmouth was a founding member of the University of the Arctic, a multi-institution education and research consortium focused on student mobility, scholarship on the Arctic, and advocacy for the peoples of the North. As such, it has partnerships with universities in Lapland, Greenland, and Iceland, among others, and is host, with the University of Alaska-Fairbanks, to the Fulbright Arctic Initiative.